During the transfer to Ijmuiden we were so happy that our captain drove the whole night, never even asking for our help. 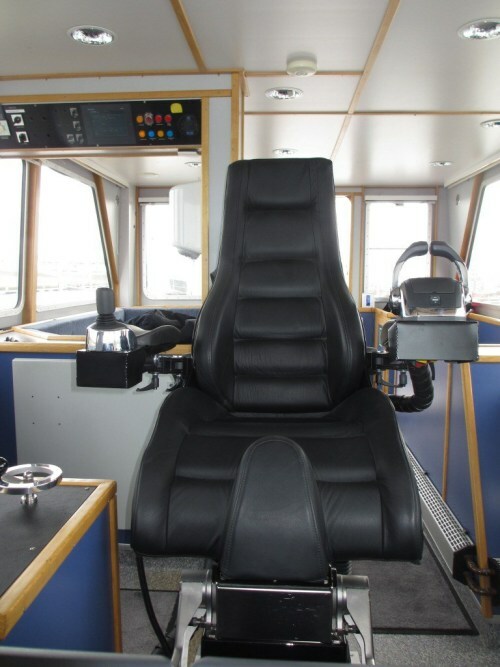 He was sitting in his chair, looking out over the dark sea commited to bring us all safely to Ijmuiden. He’s a hero, we all said! Until today, when I sat in his “Ullman chair”. I realized that while we were giving our legs a long workout (we were standing) he was sitting in one of the most comfortable creations ever made.